Jamie has been with the practice since 2004. As well as being our practice manager, she has a busy home life helping her husband run a farm. Along with all their cattle and sheep they have a variety of other animals, including their pet dogs, a three-legged kitten, a pet sheep, five horses and a goat. Jamie enjoys the variety that comes with her job and loves working with the rest of the team. When not at work, or working on the farm, she enjoys family time with her two children and breeding her dachshunds. Ashley has been a member of the team since 2010. She was one of our animal nursing assistants which she loved, and says there is nothing better than seeing a patient that was once very ill walk out the door healthy again and with a very happy owner! Ashley now works as our practice administrator and is enjoying her new role within the group. At home she spends her spare time with her husband, two young children and dog, Daisy. 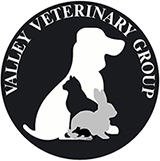 Lee started at Valley Veterinary Group in 2019 as our head receptionist. She is a local girl who has two dogs she loves spending time with outside of work. Lee also has sheep that keep her busy when she isn’t in work. Nicola joined our team at Valley Veterinary Group in November 2016. She worked in hospitality for 11 years previously and has a diploma in administration and I.T. Before joining us she was also studying for a diploma in accounting and finance. Nicola lives with her partner, daughter and two little bunnies called Bella and Bambi. Her spare time is spent being a taxi for her young daughter, taking her to baton twirling competitions. Laura is the toughest member of our team, spending seven years in the Territorial Army. This allowed her to travel to a variety of different places, including France. Laura has worked at Valley Veterinary Group since 2014 and enjoys her job a lot. She spends her free time with her partner and two young children who keep her very busy at home. Sandra is another member of the team who has been with Valley Veterinary Group for a long time and she says she intends on staying for a long time yet! She has two children, four grandchildren, two dogs, a cat and 21 chickens, all of whom keep her very busy. Sandra enjoys working for Valley and finds the job very interesting, saying one of her favourite parts is working with all the other members of the team. Marie is a long-standing member of the team and has been here at Valley Veterinary Group since 2004. She enjoys working with the rest of the staff and likes all aspects of her job. Marie has two children who each have families of their own, giving her six grandchildren. When she is not busy with the family, her wee Terrier cross dog Buddy keeps her on her toes, as he is just over a year old and is very active! Tracy has been part of the team at Valley Veterinary Group since April 2012, she loves her job and enjoys working with the whole team. She has been married for many years and has two children and two dogs, all of whom are a big part of her life and who she loves spending time with. Tracy and her husband love going to country shows and holidaying abroad. Lynn started with us at Valley Veterinary Group in 2016 after spending 16 years in hospitality, and she says it is definitely a change for the better! She lives in Dundonald with her two young boys, Jack Russell called Hope and horse, Ginnis who has been her loyal companion for many years. In her spare time Lynn enjoys pottering in her garden and giving Ginnis some well-earned attention.